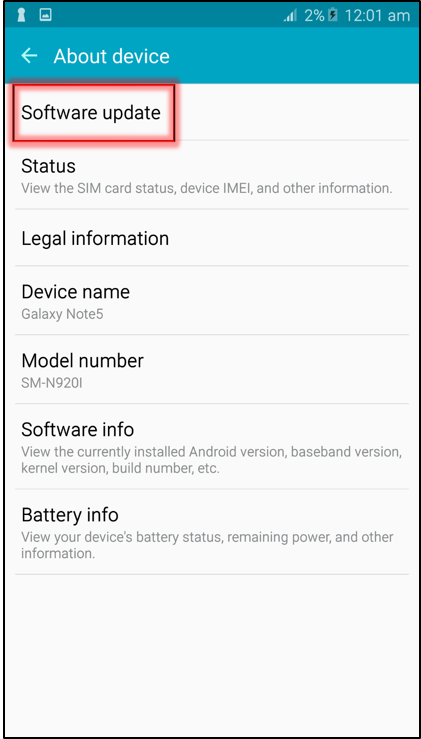 Operating system updates are released periodically for your device. If you are having difficulty with your device, you should always check for updates as a fix for the problem may have been released. 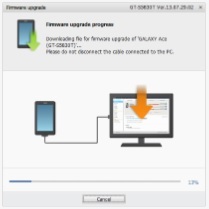 Software upgrades may be available for your device and will enhance functionality and security. 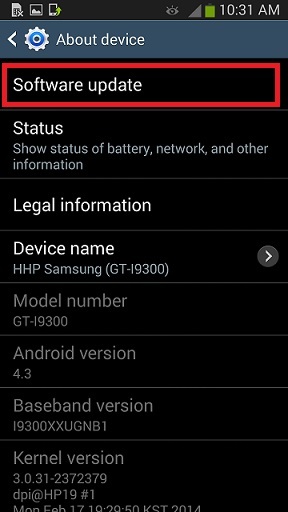 However, updates are device dependant and not every Samsung device will run the latest Android version. 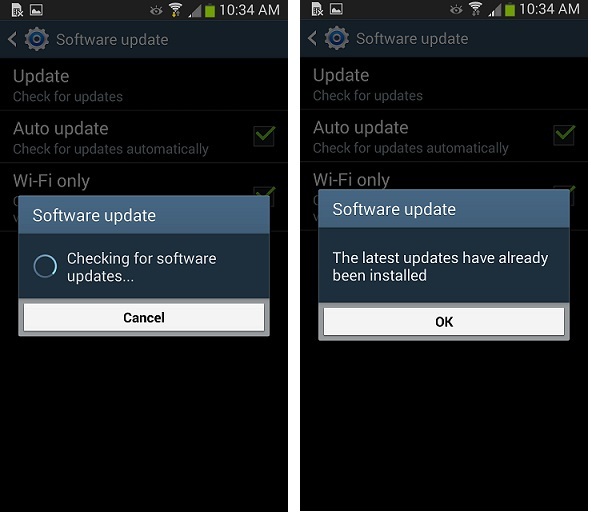 Software updates fall into two general types: operating system updates and security updates. Please note that the type and version of update available will depend on your model. Android code names are named after sweets and treats, with major new versions generally released annually. You'll often see operating system updates referred to by their name rather than the version number. 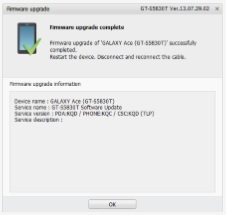 There are various ways to update the Software of your Mobile device, such as Firmware Over-The-Air (FOTA), Kies or Samsung Smart Switch. Please Note: It is highly recommended to be connected to a stable Wi-Fi network. 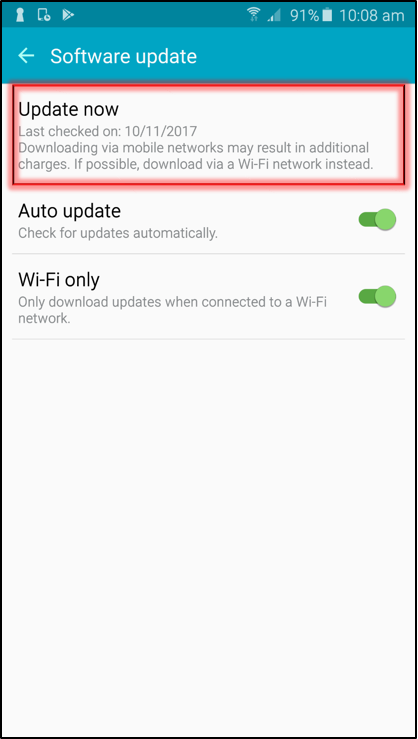 Downloading via mobile networks may result in additional charges. Please ensure that your Mobile device has enough storage space before performing a Software Update. 1 Go into the Settings menu > Software update. 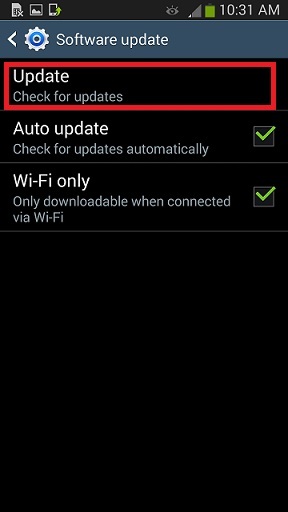 2 Tap on Download updates manually. 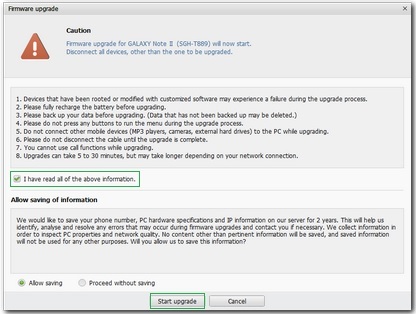 3 Once the Software update has been downloaded, please select on of the following options to Install the Software update Later, Overnight or Now. Please Note: If your device is already on the latest software, the screen below will be displayed. 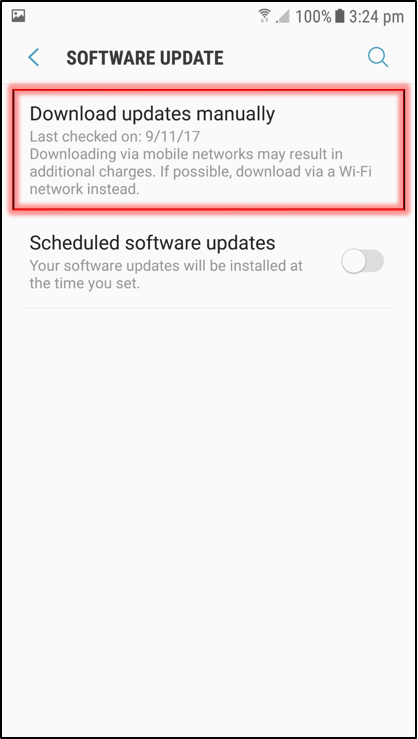 4 Once the Software update has been downloaded, please select on of the following options to Install the Software update Later, Overnight or Now. 3 Follow the steps and tap Download to start the installation process. 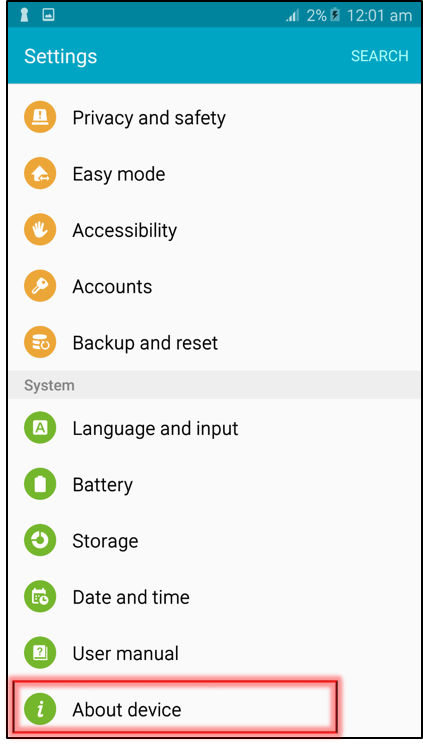 1 Go into the Settings menu > About device. 2 Tap on Software update. 3 Tap on Update now. 4 Tap on Download to start the process. 3 Go to the More tab, then tap on About device. 4 Tap on Software update. 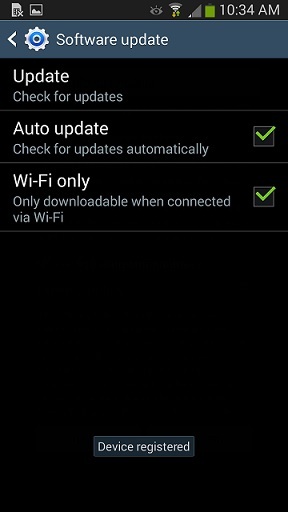 5 Tap on Update to check for available updates. 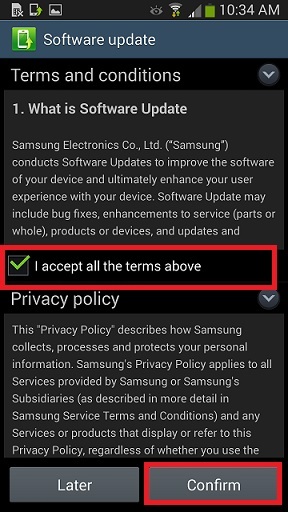 Please Note: Tick the checkbox corresponding I accept all the terms above on the Software update page, then tap Confirm. 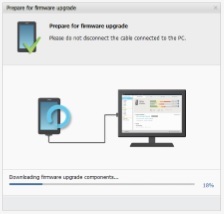 6 If a newer version of the firmware is available, the device will automatically start downloading the update. A window will pop up if the latest updates have been installed. 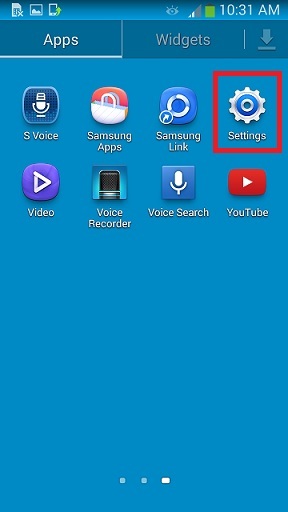 Tap on OK.
Samsung Kies is no longer supported by the newer mobile devices and has been replaced with Samsung Smart Switch. Download and install the Kies program to your PC. Ensure that the battery percentage is more than 50%. 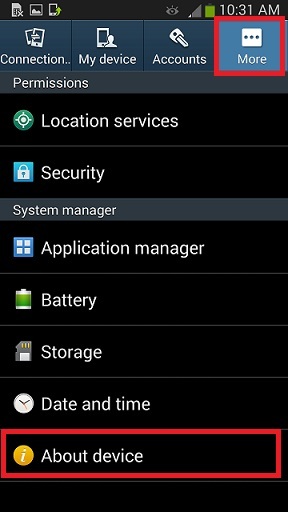 Remove the Security lock on your device. Connect your mobile device to your PC using a USB cable. 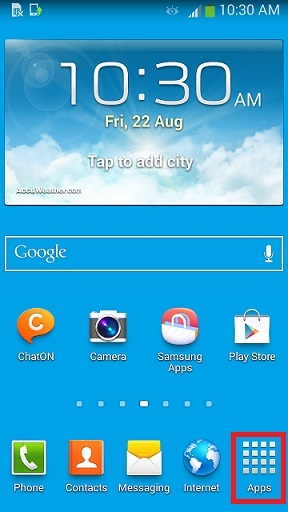 1 Open the Samsung Kies application. 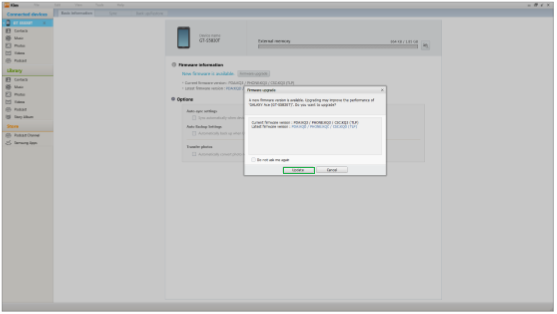 Under Firmware information, click Firmware upgrade button. 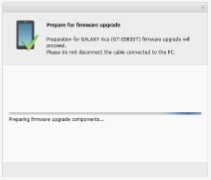 On the Firmware upgrade prompt screen, click Update button. 2 Another window will appear and you have to tick the checkbox beside I have read all of the above information and click Start upgrade.